: This deck was built for luxury. The curved main deck in Wolf decking creates a large dining area perfect for entertaining. 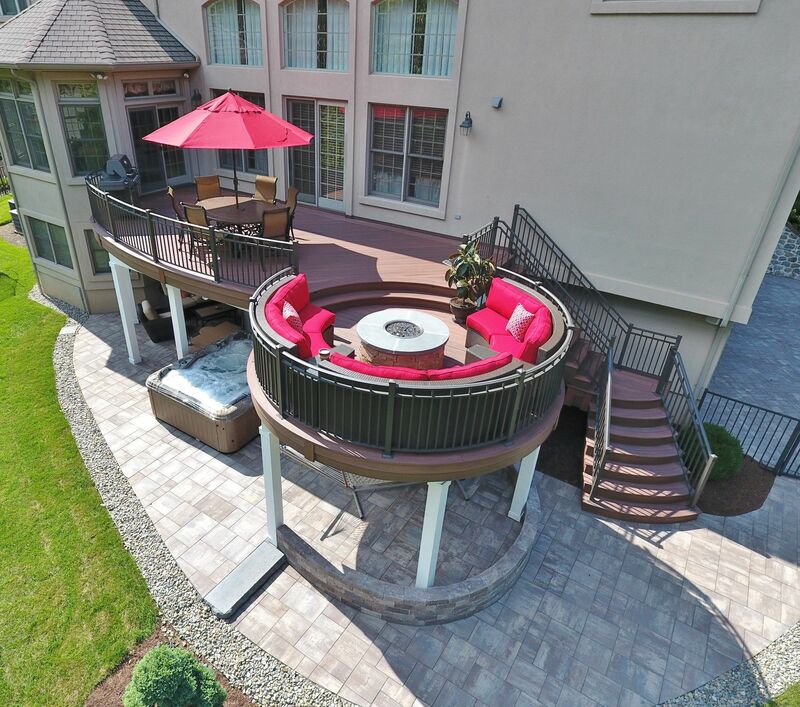 The step down circular deck is not only visually stunning but provides and intimate sitting area around a custom gas fire feature. 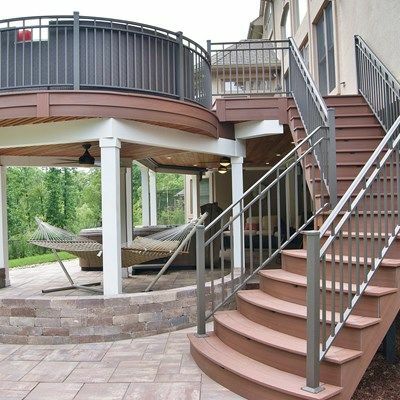 The custom curved powder coated aluminum rails accentuate the bold curves of the deck. The flared stairs leading to the patio continue with the appealing curved theme. 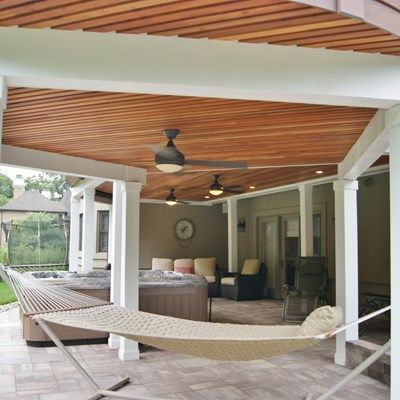 The ceiling below is finished in Tigerwood with three designer fans providing the spa-like environment these homeowners desired.